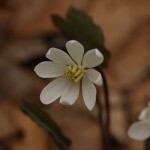 Come out and look for the earliest of spring wildflowers such as Jeffersonia – Twinleaf named for Thomas Jefferson, Bloodroot, Spring Beauty, and other interesting natural features while walking the trails of the Nature Center. The walk will begin from the parking area at the end of New Holland Ave., east of 32nd Ave. Participants should for come prepared for the weather, as walks are held except in the event of threatening or severe weather. 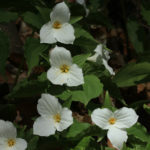 Spring is one of the two most beautiful times of year in Michigan’s woods as the “Spring Ephemerals” come out in all their glory. 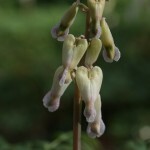 Come view and learn about the many glorious spring wildflowers of the woodland. 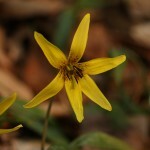 Trillium, Jack-in-the-pulpit, Dutchman’s breeches, Trout Lilies, Violets, Ginger and many more will be in bloom. The walk will begin from the parking area at the end of New Holland Ave., east of 32nd Ave. Participants should for come prepared for the weather, as walks are held except in the event of threatening or severe weather. Spring is one of the two most beautiful times of year in Michigan’s woods as the “Spring Ephemerals” come out in all their glory. 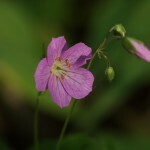 Come view and learn about the many glorious spring wildflowers of the woodland. Trillium, Jack-in-the-pulpit, Dutchman’s breeches, Trout Lilies, Violets, Ginger and many more will be in bloom. We will also be on the lookout for migrating warblers and other birds of the spring woodland. The walk will begin from the parking area at the end of New Holland Ave., east of 32nd Ave. Participants should for come prepared for the weather, as walks are held except in the event of threatening or severe weather. 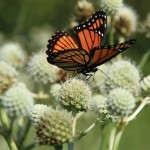 This class will cover the basics of butterfly identification, butterfly life cycles, butterfly habitat needs, the advantages of using native plants in the home landscape, how to use native plants to attract butterflies and other pollinators, how to start your own butterfly/pollinator garden and will highlight the top ten nectar/larval plants for butterflies. 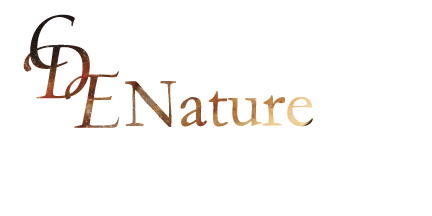 Presenters, Craig Elston of CDE Nature and Park Naturalist Elizabeth Tillman will use two native plantings in the park to illustrate all program topics covered. This program will include an indoor presentation and two outdoor sessions in native plantings which will give participants an opportunity to view butterflies, other insects and birds. Participants may arrive at 8:30 to sign-in, receive packets and to enjoy tea, coffee and light breakfast options. Lunch is provided and will be served at 11:30a.m.. All participants will receive a field guide and other native plant gardening materials. Participants are encouraged to bring binoculars, camera and notepad. Layered clothing is recommended. For more information contact the Gillette Visitor Center, 231-798-3573 or email Brockwell-Tillmane@michigan.gov. Please note:	Cancellations must be made by May 28 to guarantee a full refund. Registration link coming soon. While there is much to experience as the wildflower show begins to shift form woods to field and edges, this walk will focus on the woodlands. 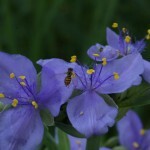 We will look for summer wildflowers and other natural features of interest along the trails. We will also take time to stop and explore the ecology of the forest and see how many organisms work together and depend on one another. Big trees of the Hudsonville Nature Center will also be featured The walk will begin from the parking area at the end of New Holland Ave., east of 32nd Ave. Participants should for come prepared for the weather, as walks are held except in the event of threatening or severe weather. Long pants and shoes or hiking boots are recommended for all walks. This class is sponsored by the Kent County MSU Extension. A comprehensive overview of prairie environments including historical prairie ranges, types of prairies, information on restoration and planting prairies as well as some interesting trivial tidbits are all covered. This class begins with an indoor component at the Hudsonville City Offices building and then moves to the Hudsonville Nature Center prairie for an up close and personal time in the Tall Grass prairie. Contact Angela VanOrder at 616-632-7892 or vanorde7@msu.edu for more information. July is a great time to look for butterflies and take in the prairie as the warm season flowers and grasses begin their majestic showing. 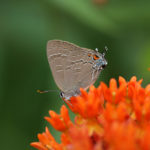 Flowers in bloom could be Leadplant, Gray-headed Coneflowers, Rosin Weed, Culver’s Root, Butterfly Milkweed and more. The walk will begin from the parking area at the end of New Holland Ave., east of 32nd Ave. Participants should for come prepared for the weather, as the walk will be held except in the event of threatening or severe weather. Long pants and shoes or hiking boots are recommended for all walks. 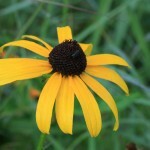 August is the peak of many prairie and summer wildflowers with the heat spurring them on. Four different Silphiums, Sunflowers, Coneflowers, Goldenrods and more will be in bloom as well as grasses blooming and easier to identify. This walk will be held on the Prairie Path and a trip into the Prairie itself to experience what it is like walking in tall grasses over your head. We will also view the prairie from the raised observation deck. The walk will begin from the parking area at the end of New Holland Ave., east of 32nd Ave. Participants should for come prepared for the weather, as walks are held except in the event of threatening or severe weather. Long pants and shoes or hiking boots are recommended for all walks. This is a time for kids to come and learn about the prairie and some of the plants that are found there. 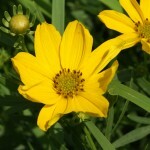 We will look at some colorful flowers, the tall grasses and hopefully see a few butterflies. This walk will be held on the Prairie Path and a trip into the Prairie itself to experience what it is like walking in tall grasses over your head. Kids should be accompanied by an adult and all participants should wear long pants and shoes. The walk will begin from the parking area at the end of New Holland Ave., east of 32nd Ave. Participants should for come prepared for the weather, as walks are held except in the event of threatening or severe weather. At this time between the multitude of summer flowers and the colors of fall there is much to see and experience in the Nature Center. Come discover asters, goldenrods, late season prairie and edges flowers as well as look for nuts and berries that are edible and are good food for wildlife. 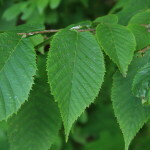 We will also focus on trees and tree identification. The walk will begin from the parking area at the end of New Holland Ave., east of 32nd Ave. Participants should for come prepared for the weather, as walks are held except in the event of threatening or severe weather. Long pants and shoes or hiking boots are recommended for all walks. 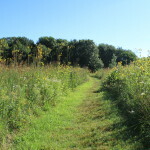 Participants will walk the trails looking for and learning about, late season wildflowers, trees, berries and nuts, birds and any other natural features of interest as well as fall color found in the woods, openings, wetlands and prairie of the Nature Center. The walk will begin from the parking area at the end of New Holland Ave., east of 32nd Ave. Participants should for come prepared for the weather, as walks are held except in the event of threatening or severe weather. Long pants and shoes or hiking boots are recommended for all walks. Join in on this night hike as we seek out calling owls in the woods. Great Horned Owls begin calling in early winter and should be able to be heard if they are in the Nature Center woods. But you can also come just to enjoy a quiet walk in the woods. The walk will begin from the parking area at the end of New Holland Ave., east of 32nd Ave. Participants should for come prepared for the weather, as walks are held except in the event of threatening or severe weather. 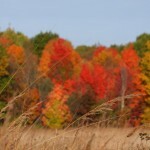 Early November is a time between fall color and the winter snows beginning. Winter resident birds have arrived and animals have slowed down and moved into their winter modes. 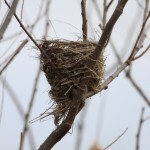 With the leaves off of the trees this is a great time to look for bird nests and some signs of insect activity that may have been hidden by the leaves of summer. This is a general nature hike where we will look for birds and other items of interest and talk about what transitions are taking place in the woods and fields as winter approaches. The walk will begin from the parking area at the end of New Holland Ave., east of 32nd Ave. Participants should for come prepared for the weather, as walks are held except in the event of threatening or severe weather.